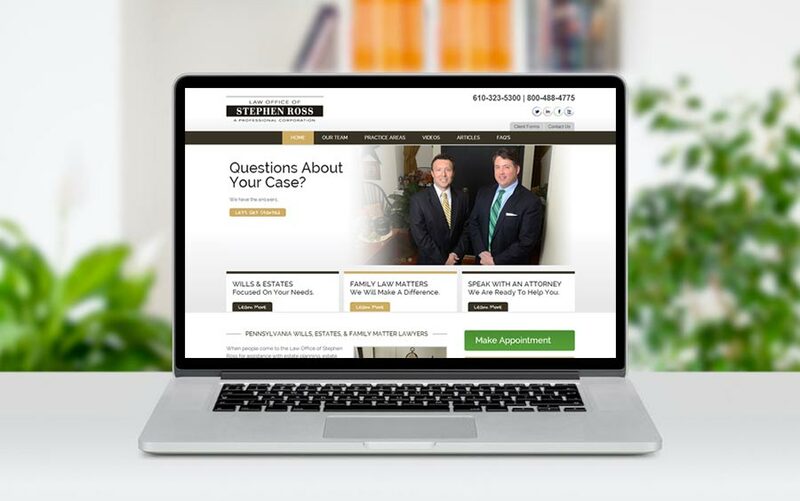 We redesigned the website for the law offices for Stephen J. Ross. The new design is clean and more streamlined. We have spent a lot of time on structuring the website and content in order to improve their search engine rankings. They went from not ranking at all to ranking #1 in google for “Pottstown bankruptcy attorneys”. I contacted McQ Web Design to redesign a website that was created by another company. We were having difficulty rankings for any keywords. Bill and the McQ Team worked fast and get the job done. I highly recommend McQ Web Design!